At the cottage we are surrounded by elder. The ditches on three sides of our half acre plot are spotted at irregular intervals with the gnarled trees. Ignored for much of the year, their worth is proven anew each summer, as Little Missy and the Small Girl keep a close eye on the flower buds, eagerly awaiting elderflower cordial season. Teaching kids about seasonality, with supermarkets full of the same vegetables and fruit much of the year round, is no easy thing. Last year six-year-old Little Missy couldn’t understand why I didn’t want to buy strawberries in February. “Because they’re not Irish,” is an answer that mystifies, but the one that really strikes home is: “they don’t taste very good.” Now, every time I buy Irish summertime strawberries, I get the girls to sniff , to inhale the tart, intoxicating aroma, knowing that they will taste all the sweeter for the wait when we finally get home and eat them. 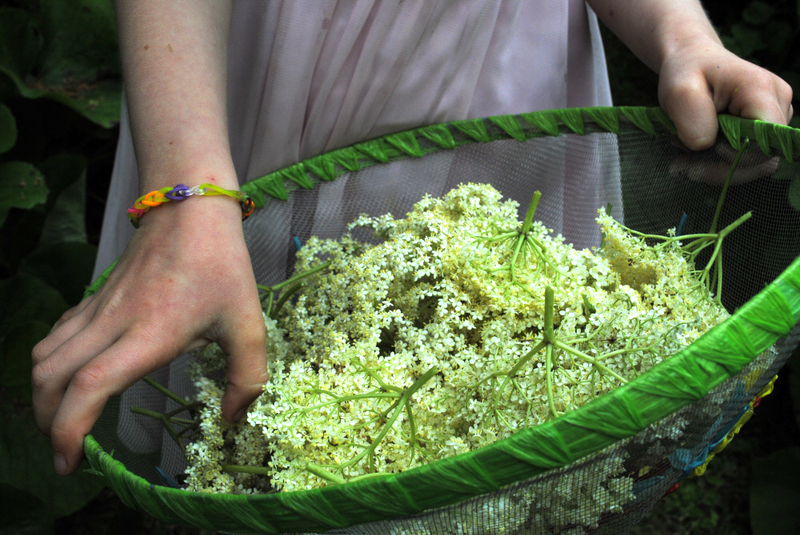 Following quickly on the heels of strawberries, come the elderflowers and we regularly inspect our trees, watching the buds unfurl into milky platters of delicate musky flowers. Picking is fun but using a scissors to snip them into bowl and taking turns to stir is the easiest form of cooking. 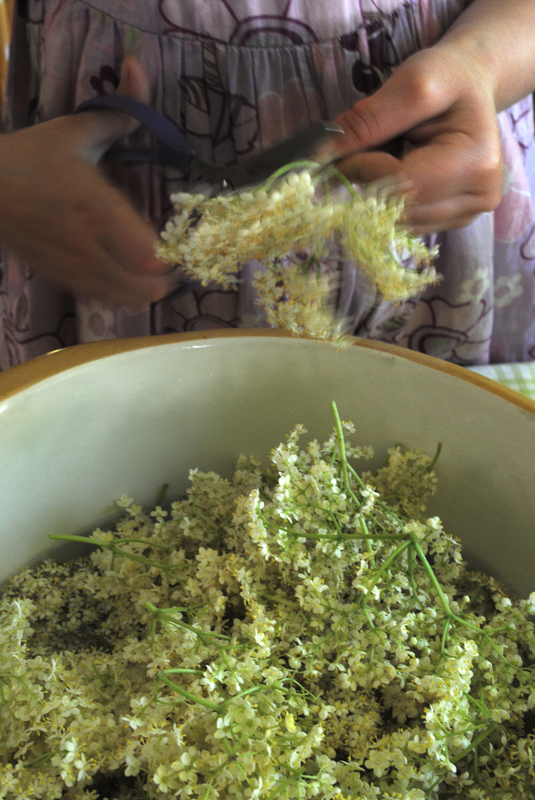 A few days later and wild flowers have been transformed into something sweet that you can drink. Magic of the most homegrown, homemade, elemental sort. Citric acid is easily found in health shops or chemists. If you can’t get your hands on it, just use 2 x tablespoons of cider vinegar instead. Elderflower and strawberries are a match made in heaven so drizzle the berries with a little cordial or try combining them in an elderflower and strawberry cake, pannacotta or jelly. In a large bowl, whisk the caster sugar, warm water and citric acid together. Stir in the sliced lemon. Using a scissors, snip the biggest green stalks off the bunches and add the flowers to the bowl. I add as many as will sit under the liquid. Mix well. 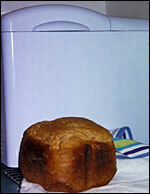 Cover with a tea towel or muslin (to keep insects from drowning and adding protein to the cordial) and leave sit at room temperature for 2-3 days, stirring occasionally. Strain through a muslin-lined sieve and use immediately or store in clean, sterilized bottles in the fridge. This is a very concentrated syrup so dilute to taste with still or sparkling water. I often freeze the cordial, slightly diluted, in ice cube bags, letting it flavour and cool a jug of water (or a gin and tonic!) as it melts. It also makes great ice pops for kids and, for the adults, hang on to some for diluting with with chilled prosecco.